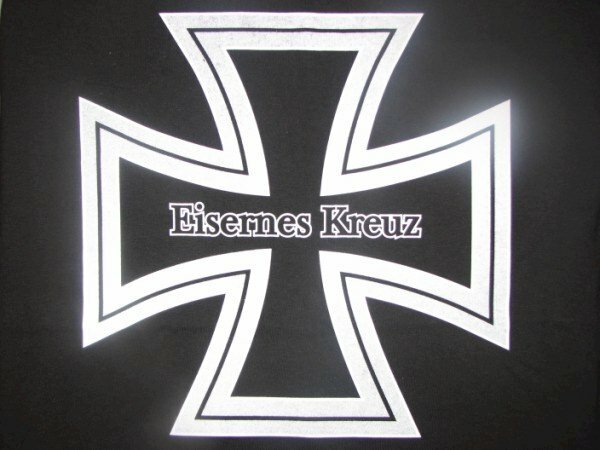 German Iron Cross screened with words Eisernes Kreuz in the middle. 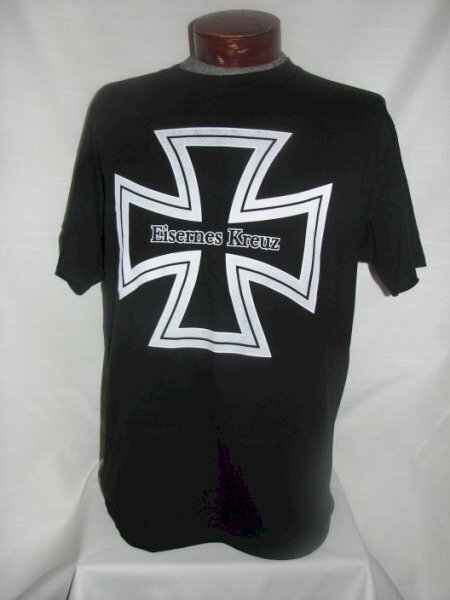 Iron Crosses awarded in WWII, WWI, 1871 and 1812, made famouse by World War II. Front Design Only. 6.1 ounce heavyweight cotton, taped shoulder to shoulder, double needle hemmed for insured durability. This shirt wears well and will retain its original color and decoration after multiple washings. Note, we use the best quality preshrunk shirts available!